Tourists in Spain viewed from above. The tourists are waiting patiently to get on the bus. This image gave me the opportunity to paint and repeat shapes and contrast warm and cool color. 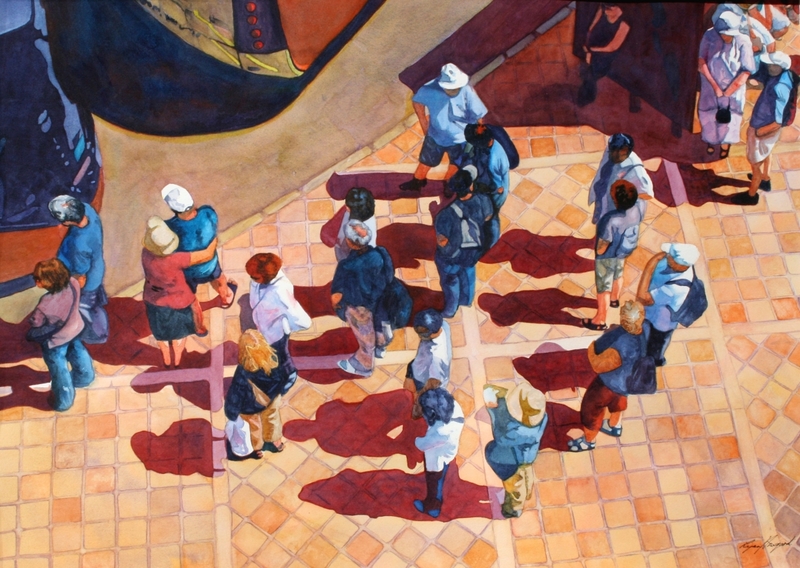 This painting was selected for the American Watercolor Society International 146th Exhibition. It was awarded the Frances Nell Storer Memorial Award and chosen for the AWS International Traveling Exhibition (146th 20132-014) on a circuit of museums and galleries around the country.